Swedish melodic death metal pioneers At The Gates formed in 1990 and have gone through periods of inactivity, but even during their dormant phase, theirs was a name always talked about and thrown around whenever it came to any discussion about extreme metal, Gothenburg metal in particular. It came to a point where fans were simply resigned to the possibility of the band never returning. But they did so in 2011 and started playing shows again. Even then, a new album seemed highly unlikely. 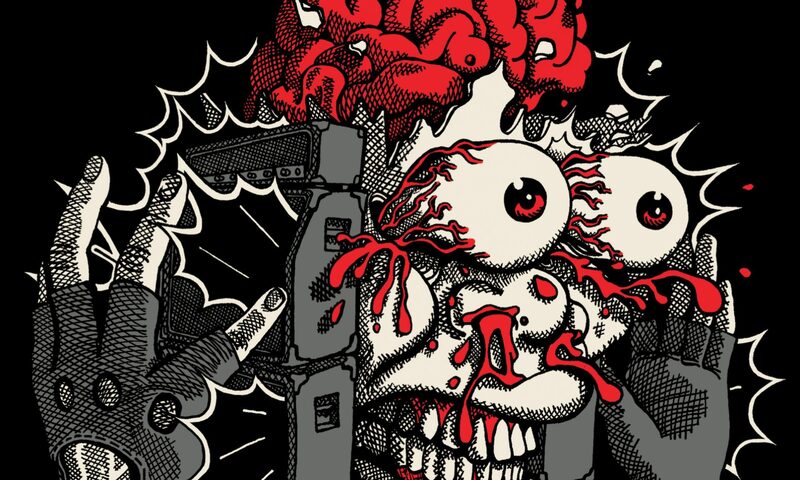 Then came ‘At War With Reality’ in 2014, and smashed all doubts and apprehensions to bits. 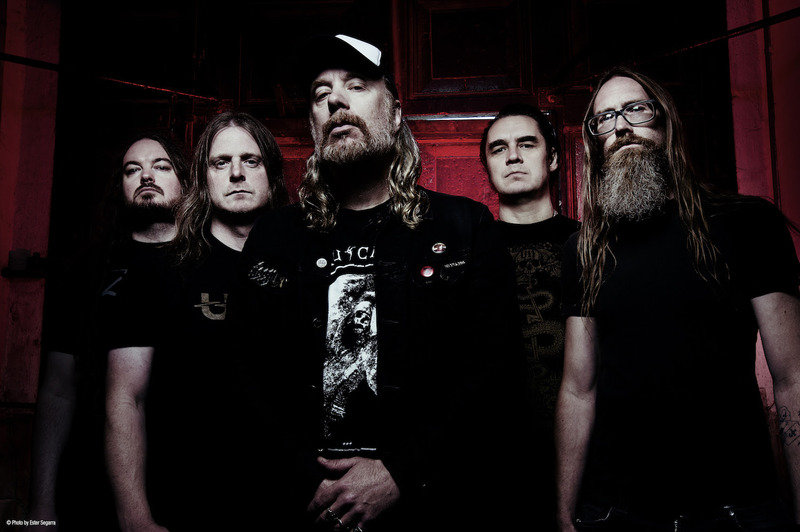 Their first album since ‘Slaughter of the Soul’ (1995), the 2014 release ignited a spark not only among At The Gates fans worldwide, but in the genre as a whole. A rejuvenated At The Gates breathing fire and trampling stages like an unstoppable force is just what the metal world needed. Was it going to be a one-off, or did the band have it in them to keep the momentum intact and create another album? It’s 2018, and the answer is a resounding Yes, as the sixth At the Gates full-length, ‘To Drink From The Night Itself’, is upon us. ‘At War With Reality’ was very much in line with what one would expect from At The Gates, almost a long overdue sequel to ‘Slaughter of the Soul’, and sonically, a continuation of what the first four albums offered in the early ’90s. The band was probably right in going for what they knew best, as that’s the signature sound the fans had missed for so many years, and it attributed to the undisputed success of the comeback album. But now, with At The Gates having re-established themselves, one would have expected or at least hoped for them to attempt something different and expand their horizons to some degree. Many people would be satisfied with the exact same album all over again, but not everyone. With co-founding guitarist Anders Björler departing the band, and this being the first album without his songwriting contribution, ‘To Drink From The Night Itself’ was already destined to present a variation of the beast that is At The Gates. The 90-second intro ‘Der Widerstand’ builds up the tension and anticipation, and the title track throws the listener in the deep end right away, with Tomas Lindberg’s distinctly recognizable vocal stylings coming to the forefront, on an extremely high-energy, high-speed track. The speed is maintained for the most part on ‘A Stare Bound in Stone’, although it lets the riffs breathe more and offers up a change of tempo or two along the way. ‘Palace Of Lepers’, despite its short 4-minute duration, captures a great degree of dynamism in songwriting, and is one of the more epic compositions on this album. The most striking quality of the record is its relentless, unwavering sequence of immensely strong, ultra-powerful, expertly crafted, concisely executed, brutal-sounding, dynamic extreme metal tracks. ‘Daggers of Black Haze’, the joint-longest song on offer, really allows the band to express themselves with both extremes of their musical style, the melody and the brutality beautifully interwoven together. ‘The Chasm’, the shortest track aside from the intro, is the perfectly contrasting follow-up that drives the point of this album home, so to speak. Only half-way through, ‘To Drink From The Night Itself’ is flawlessly impressive through its first six tracks, and thanks to the precise songwriting and short song lengths, the album’s impact does not fade away during its second half either. The variety in tempo keeps it interesting, and ‘The Mirror Black’ ends the album on a note as epic as its beginning. 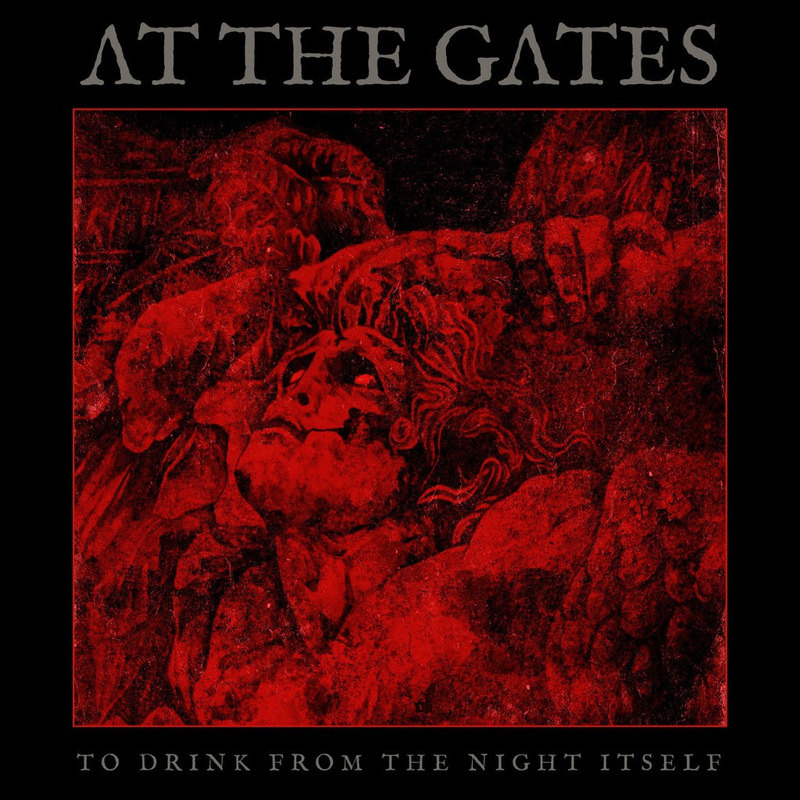 So, how does ‘To Drink From The Night Itself’ compare to previous At The Gates efforts? It’s certainly more dynamic and progressive, but at the same time throws a salute to traditional heavy metal and rock n’ roll, which is what inspired this band in their pre-formative years as musicians. What’s more, producer Russ Russell has succeeded in achieving the often elusive sonic balance, making this album sound brutal and violent, even as he highlights the melody in the songs perfectly. Rarely is a death metal album not overproduced or underproduced, but this At The Gates release lands somewhere in between. The creative core of vocalist Tomas Lindberg and bassist Jonas Björler who is now the prominent songwriter, has proven that At The Gates is not a death metal band to rest on its laurels and still has plenty to offer, plenty that’s contemporary to modern times yet firmly rooted in the old-school ways of the Gothenburg extreme metal style they pioneered almost three decades ago. ‘To Drink From The Night Itself’ is nothing short of an extreme metal masterpiece, and sets the gold standard for the sub-genre in the year 2018.